There is nothing better than New Year's Eve in Stockholm. No matter how you've spent your evening (at home, on a dinner party, in a restaurant), at midnight you hit the street to watch the firework show. There are fireworks every where (yes, sometimes a bit scary, but usually the champagne kind of take most of your worries away)! Now that's the right way to end a year and start a new year. With a big boom! On our first New Year Eve here we got really disappointed. We thought that we were in for a huge show. After all, most things are bigger in the US, so why not the fireworks on New Year's Eve. As midnight approached, we poured the champagne in our glasses and walked out on the balcony in huge anticipation. The only fireworks you could see was on TV. And the big ball falling (shouldn't it be going UP?) in New York. Three hours earlier. A rerun on New Year's Eve. No, if you want to experience a real New Year's - you should spend it in downtown Stockholm. Jacal! Nyår i Stockholm är verkligen speciellt! jag var "bara" ute i förorterna på nyåradafton, men aj vilken "show" det var där! Luften full av fyrverkerier, dånar, krut och drag...HÄFTIGT!!! Epi - välkommen hit! Ja, visst är den jätthäftig! 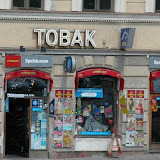 Titta på länken så finns det ett par fler bilder. Fick sån hemlängtan när jag såg den! Annika - ja!! Nyårsafton i Sverige - nästan var man är är speciell! Här är det så ... mesigt! One year I was living in Solna. Someone I knew wanted to go into Stockholm and see the fireworks. I did not want to go. Why should I get on the subway, go into Stockholm, be in the cold to see some fireworks when I could watch it all on television at their lagenhet? Besides, one year I know fight broke out in the subway in Stockholm after a New Year's celebration and who needs to deal with drunken youths in a Stockholm subway after fireworks? 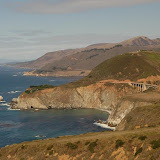 Lastly, remember you are in California. A state which can have massive brush fires which cause millions of dollars of damage. There's good reason for toning down the fireworks. Also, every year here in Sweden--as in the USA--you read about somebody hurting themselves with fireworks. Is it worth it? Besides, I have seen some magnificent fireworks displays in Boston. There are fireworks displays all over the USA. Some are even done by fire departments to make sure they are done safely. I recall this being the case in one small town in Oregon on the Fourth of July. Well, watching fireworks on TV really isn't the same as to watch them live. Even though that's what we do here - and the interesting thing is that you can watch the fireworks from all over the US at the same time. 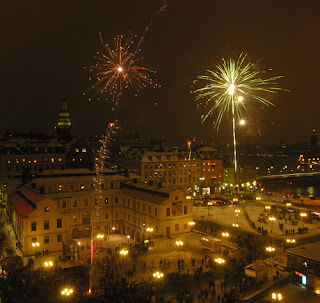 But a New Year's eve in downtown Stockholm is still the best - I'll never forget December 31, 1999, standing on Skinnaviksbeget, looking out over Stockholm. No, fireworks during the dry season wouldn't be a good idea - but in most places around here it would be pretty safe in December. The public firework displays on 4th of July are kind of scary, it is sooo dry then. The fire departments stands by everywhere.